• Seeking a Java Solution Architect with 8+ years hands on experience in various java/j2ee technologies. • Evaluates and anticipates impact of technical solutions on related projects. • Translates technical solutions based on client’s needs and feasibility. • Stays current with technology and determines the impact of hardware and/or software upgrades on new and existing applications. • Evaluates vendor products and prepares recommendations. • Ensures high quality, adherence to standards and best practices, high performance, and scalable, repeatable processes and deliverables. • Understands interrelationships and impacts of systems and applications upon the Target technical environment. • Participates in project estimation. 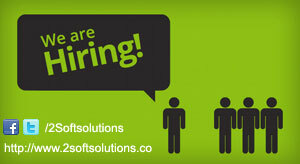 Send your updated resume on jobs@2softsolutions.com along with following details.